The 1980 release with covers of In the Midnight Hour and Eight Miles High ! Japanese SHM-SACD paper sleeve pressing. Universal. 2015. 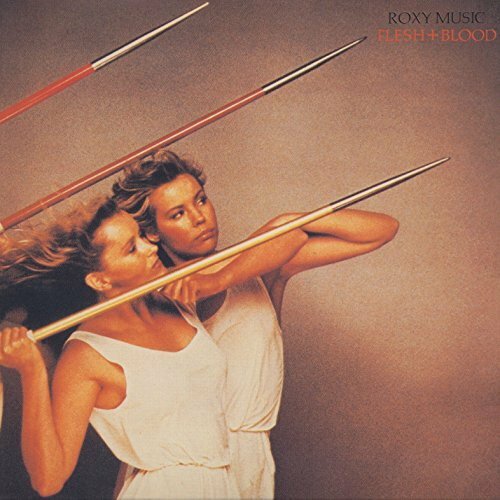 Flesh + Blood is the seventh studio album by the English art rock band Roxy Music. Released in late May 1980, it was an immediate commercial success peaking at No. 1 in the UK for one week in June and then returned to the summit in August for another three weeks, in total spending 60 weeks on the albums chart in the United Kingdom. The album also peaked at No. 35 in the United States and No. 10 in Australia. The album was preceded by the single "Over You", a No. 5 UK hit that also provided the band with a rare US chart entry at No. 80. Two more hit singles followed: "Oh Yeah" (UK #5) and "Same Old Scene" (UK No. 12, AUS #35). Flesh + Blood also included two cover versions: The Byrds' "Eight Miles High" and Wilson Pickett's "In the Midnight Hour". The latter was released as a single in some territories. In addition, the album's title track along with the aforementioned "Over You" and "Eight Miles High" peaked at number forty-six on the Billboard dance charts. The album was made after their drummer Paul Thompson had left the band, essentially making Roxy Music a three-piece band consisting of Bryan Ferry, Andy Mackay and Phil Manzanera. 2013 Limited edition Japanese pressing SHM-CD paper sleeve. EMI. From their 1980 album Flesh + Blood. 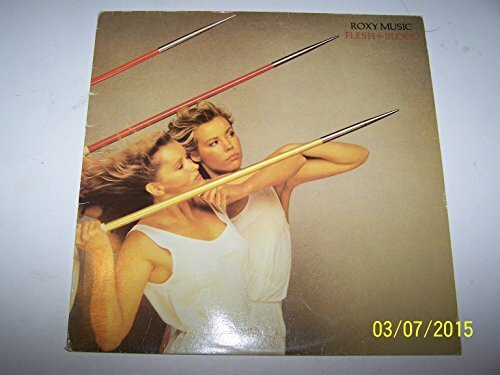 Compare prices on Roxy Music Flesh at ShoppinGent.com – use promo codes and coupons for best offers and deals. Start smart buying with ShoppinGent.com right now and choose your golden price on every purchase.